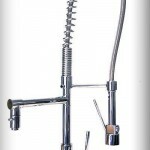 Ilona and I decided to find our kitchen faucet online, since we didn’t like anything under $700 at the local stores. 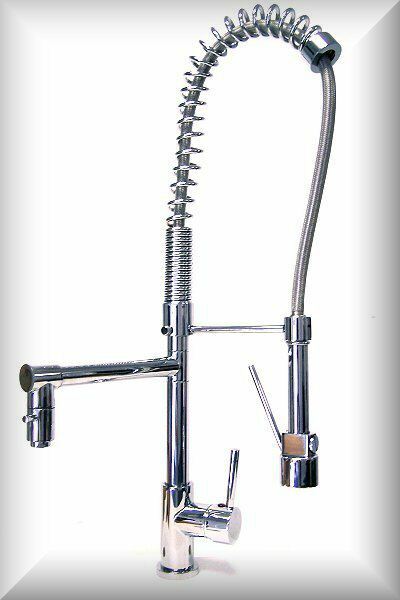 It’s pretty incredible that you can purchase a faucet for over $1,000, actually it’s more ridiculous than incredible. We went on EBay and found this gem for $160 shipping included. On Saturday Ilona also headed to Rona with my mom to pick out some tiles for the bathroom and a small vanity (to save space). Ilona ended up picking out some white subway tiles for the bathroom and shower walls, a large dark grey square tile for the floors, and small square grey tiles for the bottom of the shower. She also purchased these really small cool glass tiles to use as borders. 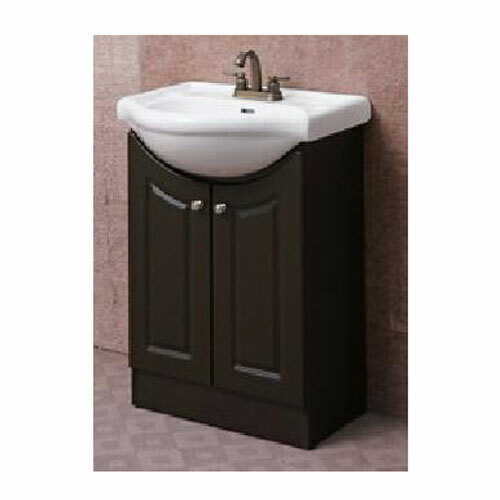 Since our bathroom is so small, Ilona found this vanity which is less deep than your average one, which should allow us to have a normal sized door on the washroom, and have a bit more wiggle room. It will be another couple of weeks to see photos of the ceramics tho, so check back. This entry was posted on October 25, 2010, 4:11 pm and is filed under bathroom, interior, kitchen. You can follow any responses to this entry through RSS 2.0. You can leave a response, or trackback from your own site.